T-N-T - FEEL THE POWER! One of the best and most entertaining bands to come on the Charlotte/Hickory music scene to date. If you are looking for a crowd pleasing, high energy rock ‘n roll show, book this band at your venue and see what everyone is talking about! Playing diverse material from the 80’s, 90’s and now is sure to get the peeps on their feet and burning up the dance floor. Melodic harmonies and musical precision is what you get from this band paying homage to the greatest rock bands of all time. 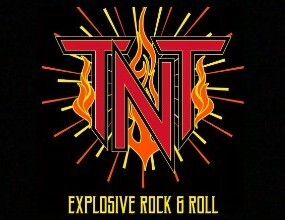 T-N-T performs favorites from groups such as Poison, Bon Jovi, Theory of a Deadman, and Journey along with many others. Fans are guaranteed “infectious grooves” and a ROCKIN’ GOOD TIME! So come on…FEEL THE POWER OF T-N-T!